Guy Laramée is an artist who found his way by traversing many different disciplines over the course of 30 years. 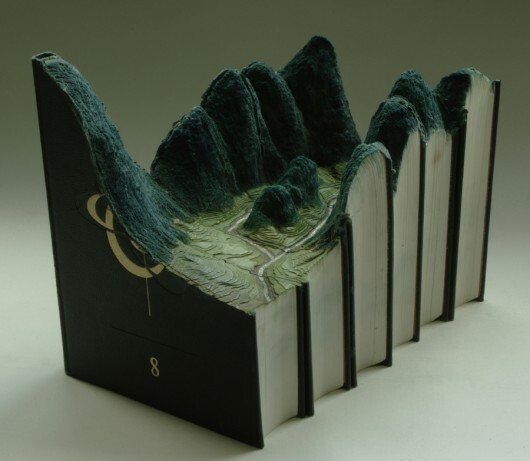 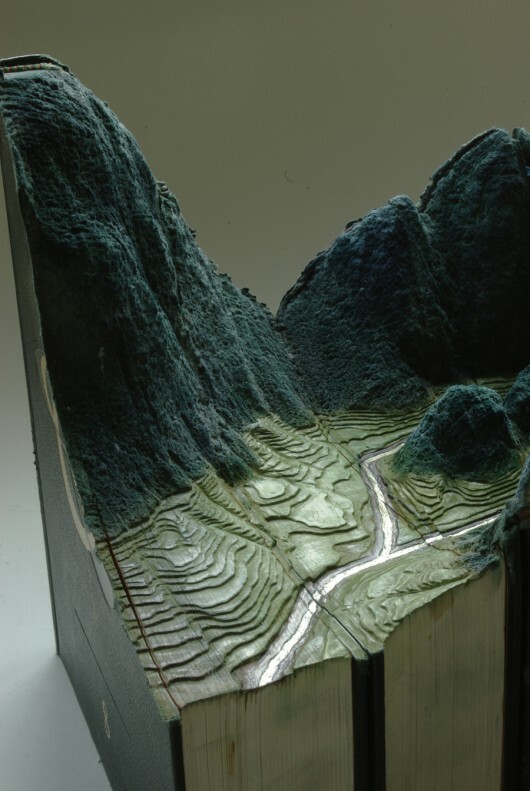 His work has varied across mediums and lands here for us with these beautiful, carved book landscapes. The precision and presentation of each make it all the more remarkable. 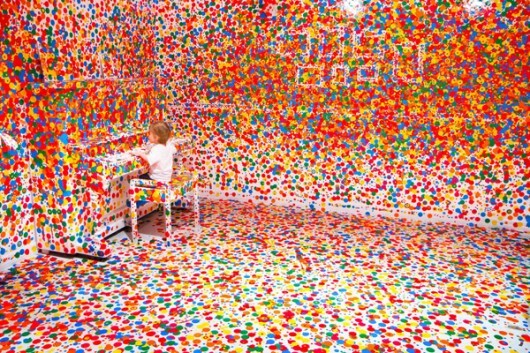 If you’re in the Montreal, Quebec area during April 5-29th, 2012, make sure to check out his show at the Galerie d’Art d’outremont. 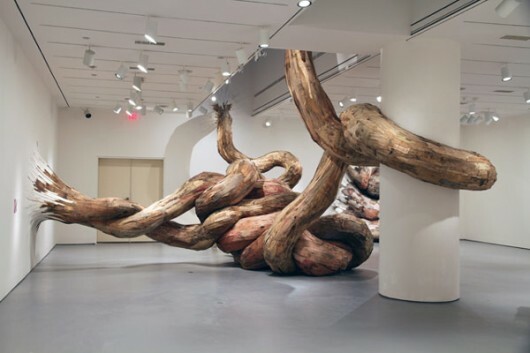 Brazilian artist Henrique Oliveira let his imagination run wild when building this fantastic tree trunk interior installation representing the decay of city life. The material used is actually old chunks of a tree trunks wrapped around a PVC pipe skeleton. What started as a seemingly simple, delicate room turned into an amazing sticker installation. Yayoi Kusama masterminded this for the Gallery of Modern Art in Brisbane. Over the course of two weeks, children who visited the museum were given stickers to place where they wished. 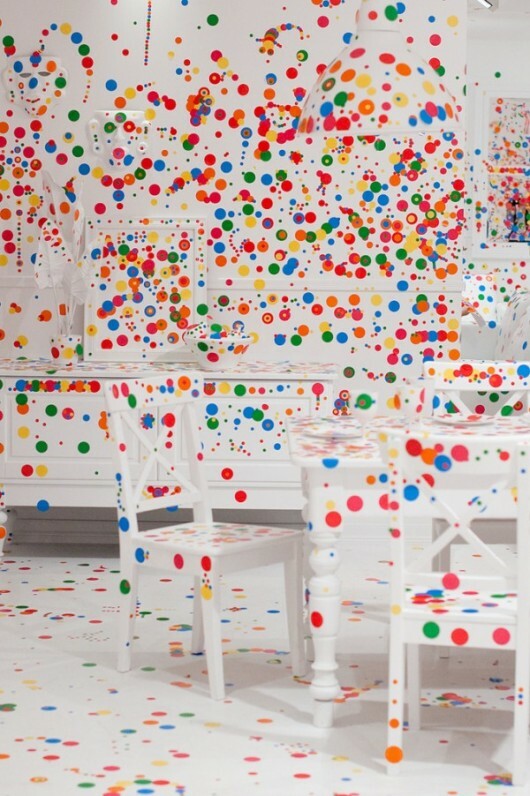 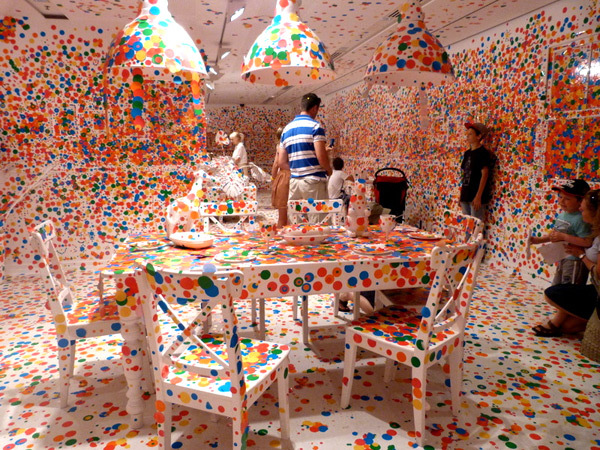 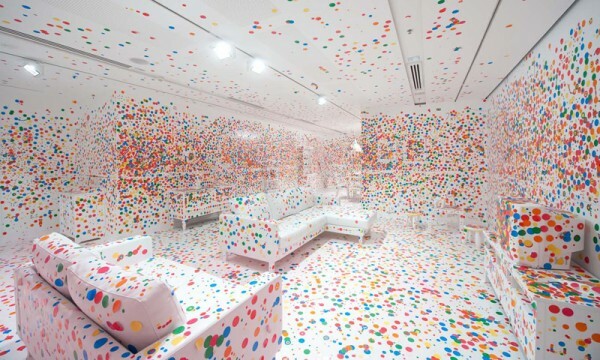 The installation, entitled The Obliteration Room. 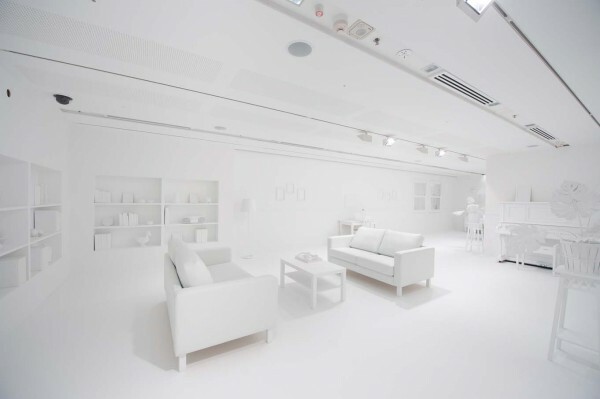 More stunning images from Aizone’s Spring / Summer 2011 Campaign. 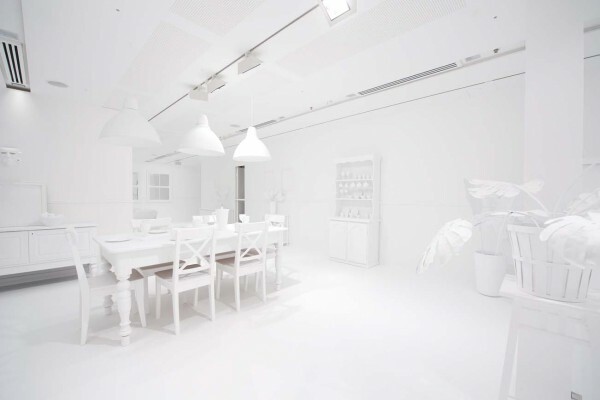 Sagmeister Inc focused on strong black and white patterns to reflect the dynamic, vibrant nature of the brand. Anastasia Durasova is the mastermind behind the body painting. Artist Miguel Endara spent hours upon hours creating this amazing portrait of his father’s face. 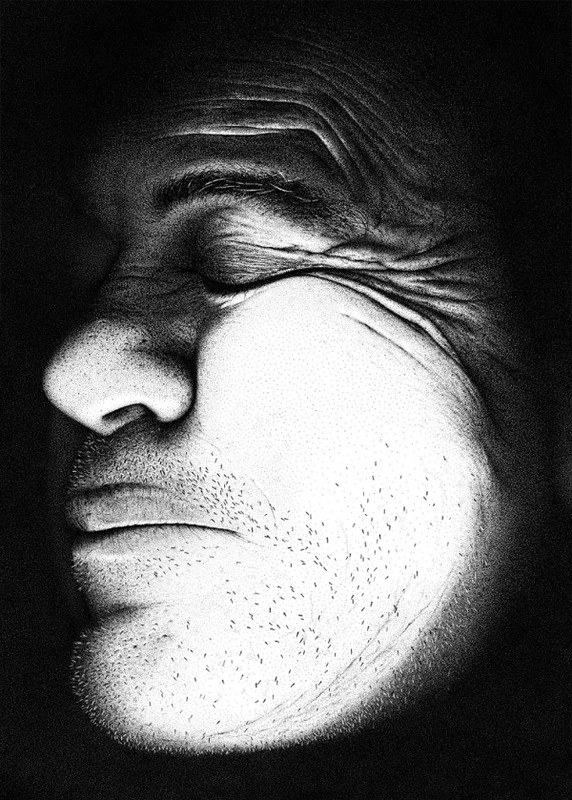 The drawing uses the stipple method which is logged at over 3.2 million dots. The outcome is absolutely stunning; the video is nicely cut as well. 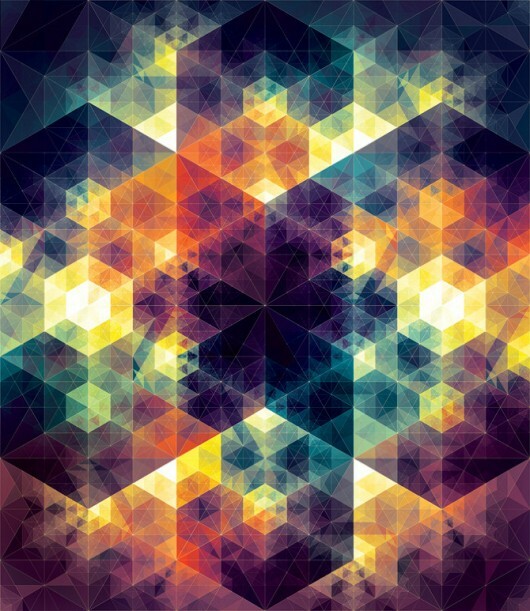 Andy Gilmore is a master of geometric patterns and composition. His work is unique and quite stimulating. 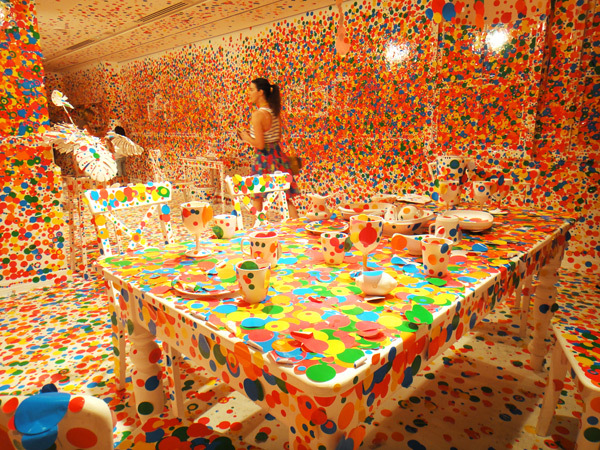 Describing it however is somewhat difficult considering I haven’t yet figured out meaning behind each. 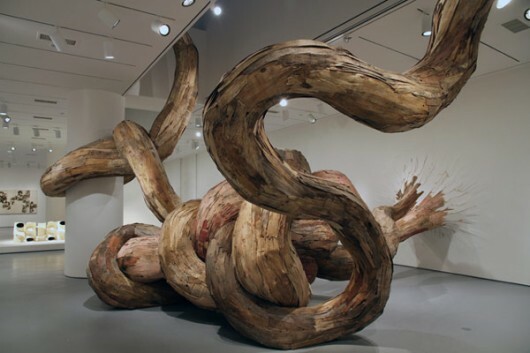 Though it’s rather easy to appreciate every one of his pieces solely based on the visual qualities. 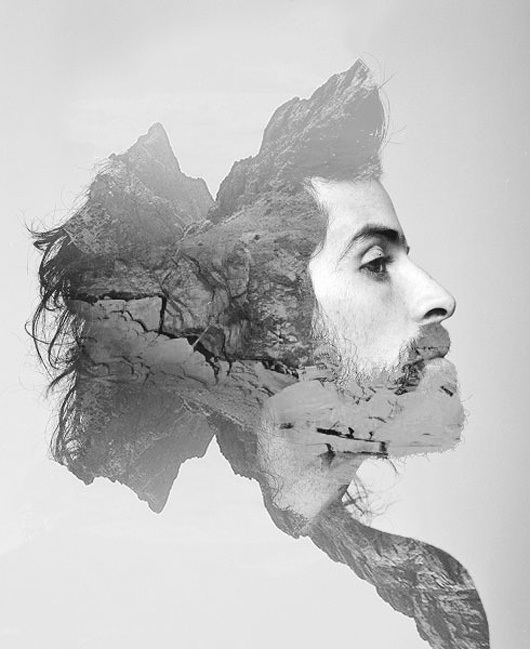 Purchase some of his work through our friends at Ghostly! 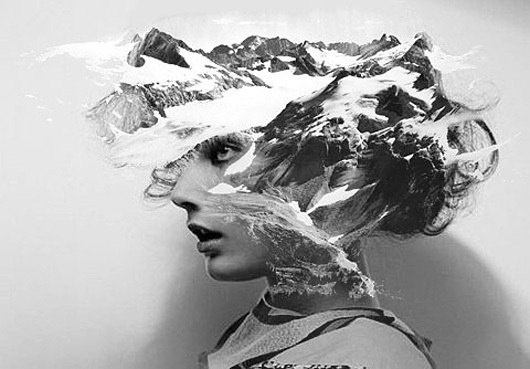 Reminiscent of Mark Weavers work, Matt Wisniewski uses found images as the base of these surreal juxtapositions. 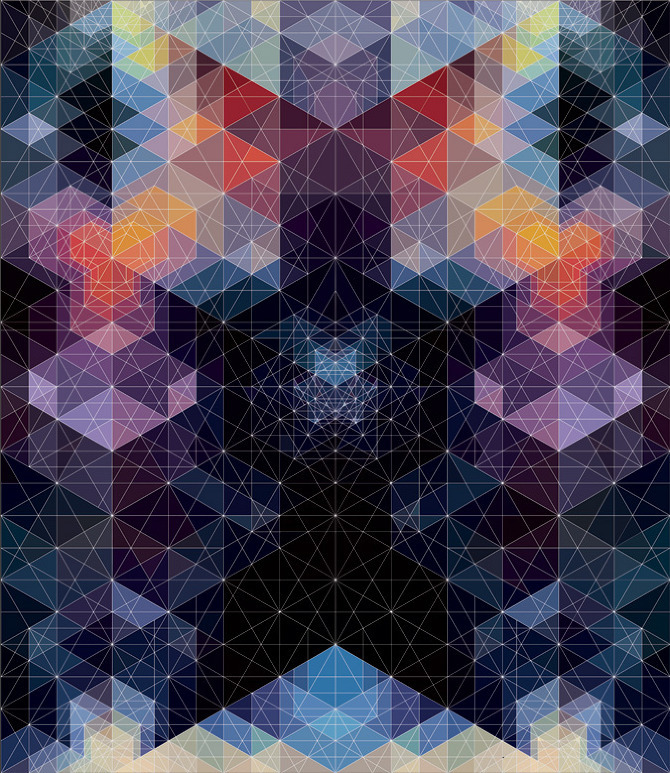 Some of these collages are also available in prints on his website.